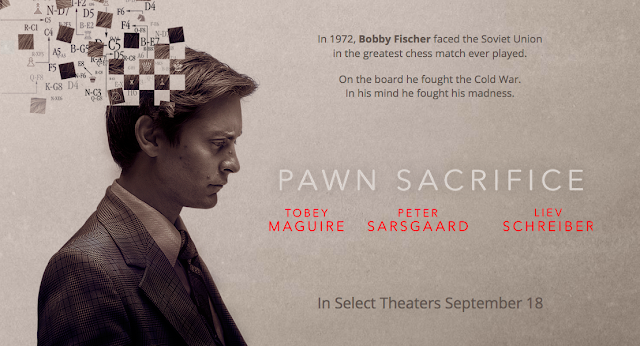 I have been thinking of a chess match amongst software companies in Sillicon Valley for last few years now. 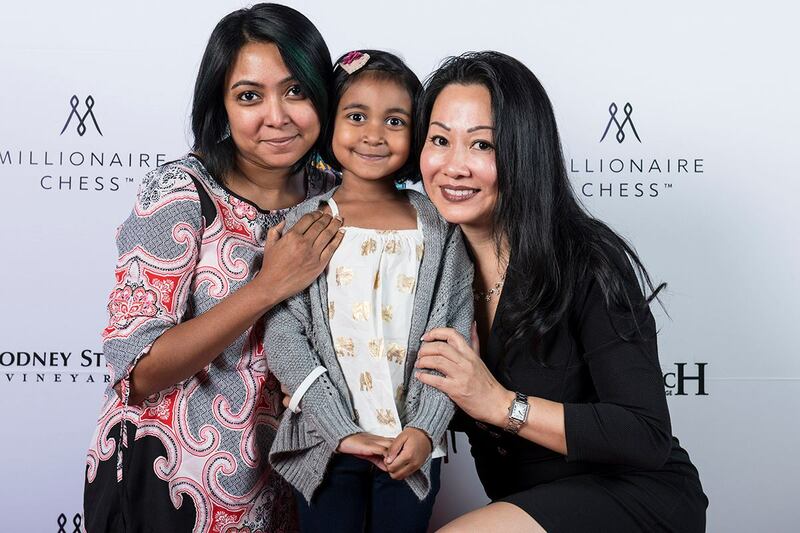 There are many good chess players in San Francisco Bay Area who happen to be good IT professionals too and thus ending up in working on many of these big companies or small and medium startups. As a first step, I took Salesforce in Ametuer Team West Championship at February 2014. 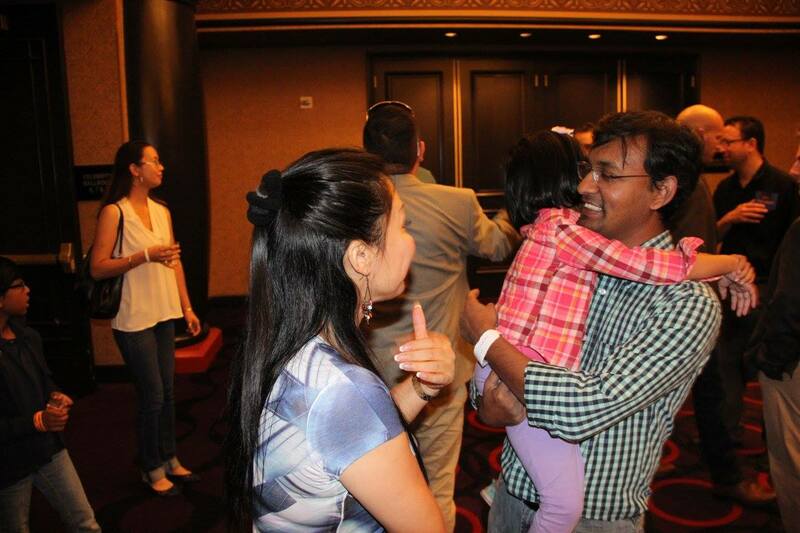 After that tournament Bay Area Chess Organizer Salman Azhar talked to me about potentially arranging a corporate only chess match. While I had Salesforce Chess Club and knew several people play regularly in Intel, MicroSoft and other companies - I was not sure how to find the particular contact who arranges those sessions in those companies. 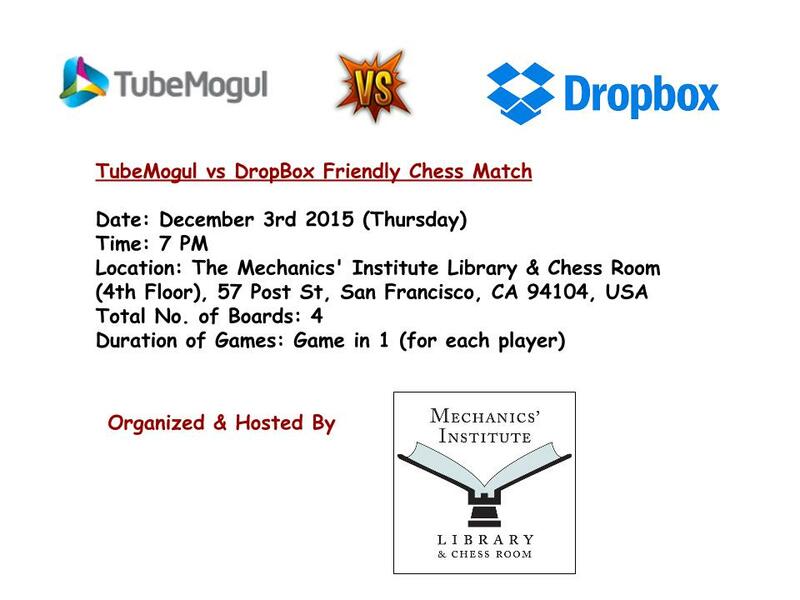 Earlier this year, San Francisco Mechanics chess institute Director IM John Donaldson arranged an evening gathering with a dozen chess players in the club and asked us how can Mechanics Chess Club attract more IT professionals into their regular chess tournaments. 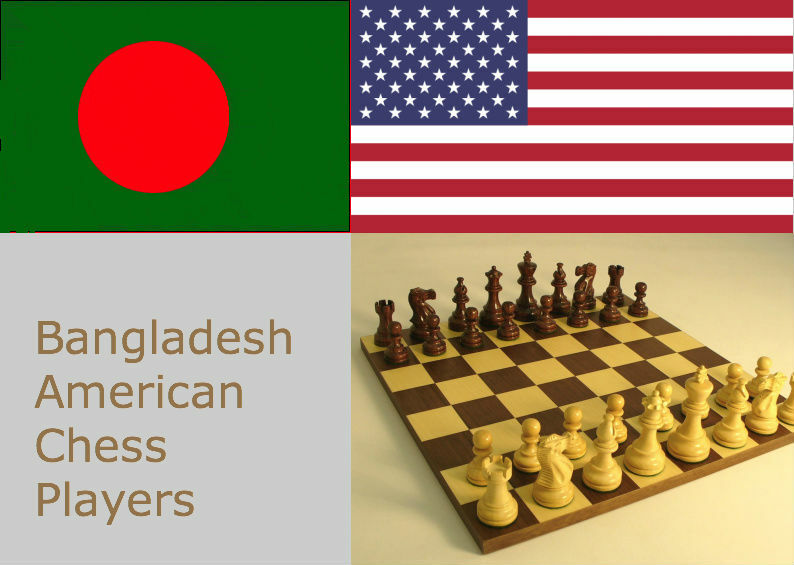 We got out with some ideas from the brainstorming and within a few weeks he emailed me and another chess player from DropBox Renjish to check if we can participate in a team match between our companies. 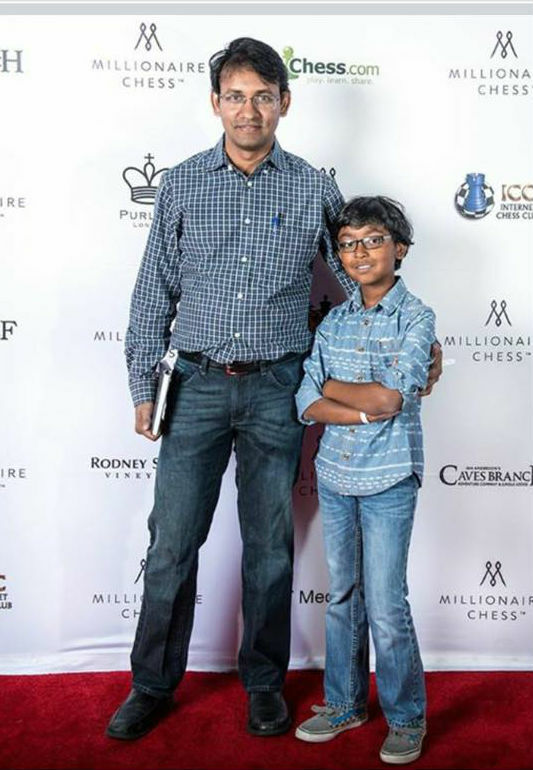 In the meantime I joined TubeMogul leaving Salesforce and started a brand new chess club there finding Richard Bruce, another regular tournament player who worked in TubeMogul. Unfortunately he left the company shortly but I have been able to build a 4 player team to participate in a match against DropBox. Renjish also confirmed that he has his team ready to have a match against TubeMogul. So here we go now. 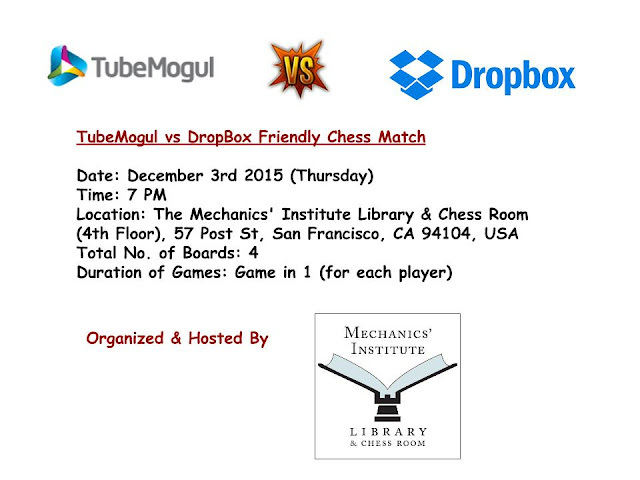 Mechanics Chess Club will host the event at December 3rd evening at their San Francisco Premise where 2 teams will gather with 4 players each. It will be a Game in 1 (each players gets 1 hour in his/her clock) in 4 boards. The team that gets at least 2.5 points out of 4 wins. I invite you to join us and watch it as an audience. If the games are broadcasted over internet via ICC, I will share the details as soon as I know. 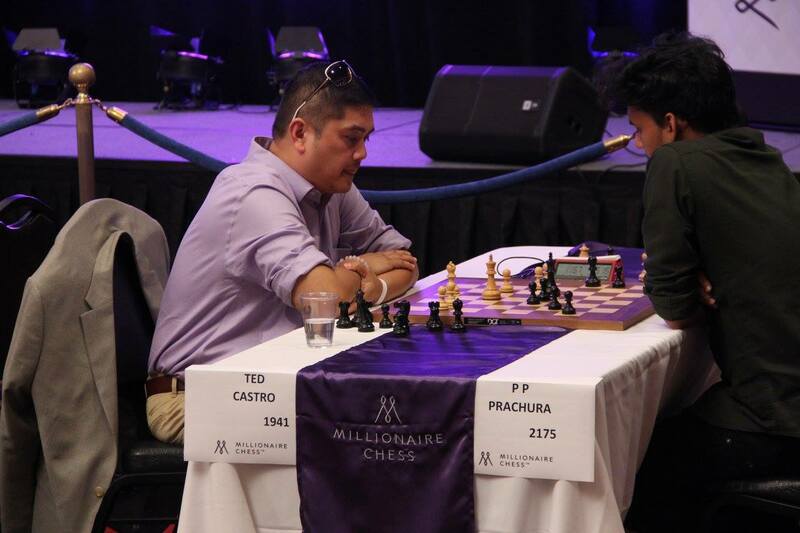 Just one day after defeating IM Ricardo, I got paired against him again in first round of Best of the West Championship in Santa Clara Marriott. This time I drew a completely winning position, thanks to Ricardo's good knowledge of rook ending and my lack of it. Still I have nothing to regrest drawing against an IM! 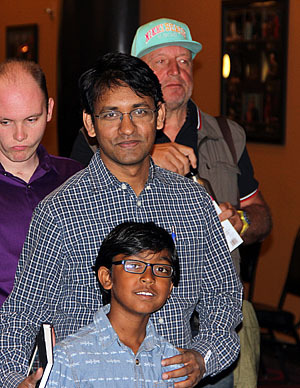 As I and my son Ahyan regularly play Friday Night Marathon at Fremont Norcal House of Chess, I frequently face IM Ricardo De Guzman there. I invariably loose all the time except once I won. Today won a second time. If you want to check my first win against Ricardo, here it is. One thing I noticed is that the funding type for this project is Fleixble Funding which IndieGoGo describes as - This campaign will receive all funds raised even if it does not reach its goal. So I am very hopeful that the documentary will eventually come out, no matter what. The current delivery date is December 2015. 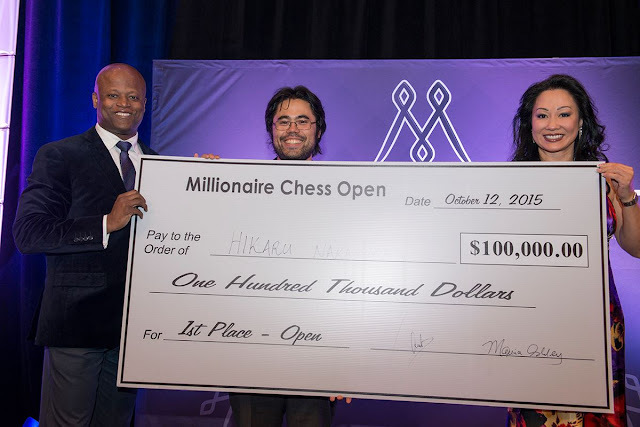 Millionaire Chess #2 will happen in October 2015 in Las Vegas, so I assume Plunkett will be able to include few things from that event too in the documentary. 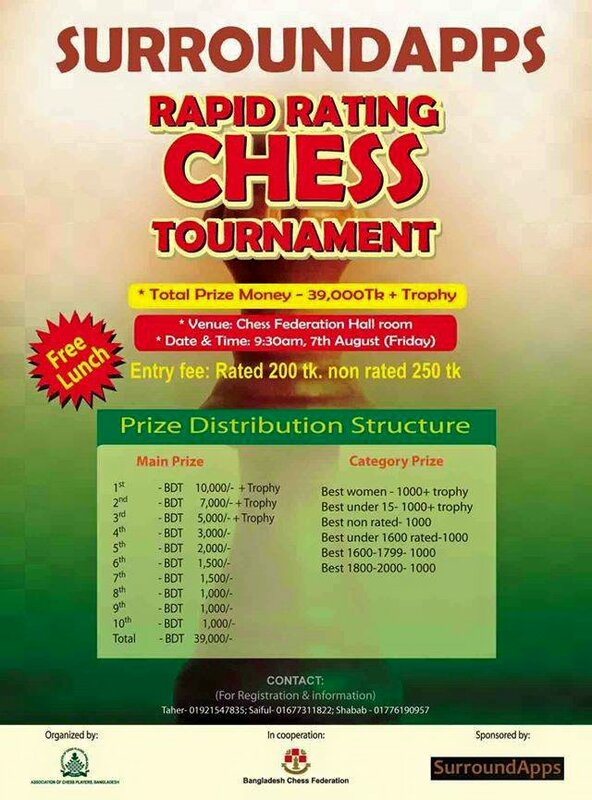 We, the chess players, should support this initiative. Footnote: This month's Chess Life Cover Article is on Millionaire Chess #1 by GM Daniel Naroditsky.